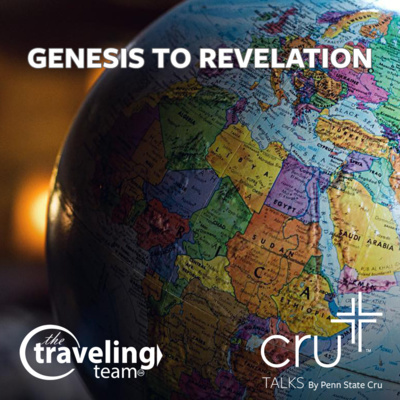 Cru Talks is a collection of talks given at Penn State Cru's weekly meetings and retreats. To listen to them live, join us on Thursday nights in Freeman Auditorium (HUB Movie Theater) at 7pm. This podcast is also available on Apple, Google, and Spotify podcasts. This week, senior student Amy Bogan leads us in a talk on the Armour of God as we continue our Questioning Christianity series. This talk takes a unique look at how Christians can defend their faith by looking into the spiritual realm. One of the strongest arguments for the Christian faith is the personal stories of those who believe it. That's why we had several students share their testimonies this week. Tune in to hear their stories and why they follow Jesus. Continuing our apologetics series, we're taking a look at how science interacts with our Christian faith. This week, student Kyle Evernham explains how science and faith are not mutually exclusive by providing examples of famous Christian scientists and how science supports the Christian faith. 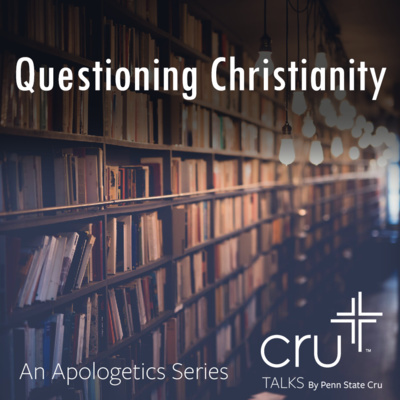 We're excited to be kicking off a brand new series on apologetics. Over the next 6 weeks, tune in to hear different defenses for the Christian faith. This week, Tom Sperlich walks us through some philosophical arguments that lead to the existence of God. This week at Cru, senior student Ceci Richardsen shares some wisdom God has taught her over the last four years. Listen as she shares what it means to live in God's truth and how trusting Him has impacted her life. A study on biblical prayer wouldn't be complete without learning how Paul uses prayer in his letters to the early church. Tune in as Tom Sperlich breaks this down with us. We're excited to be back despite the cold weather to continue our series on prayer. Listen as Josh breaks down the Lord's prayer and speaks on the context surrounding this passage. This week at Cru, Kathryn taught us what true confidence in prayer looks like and how closely it's tied to our trust in God. As we continue our series on prayer, take some time to build your confidence in God and see how much it can affect your prayer life. 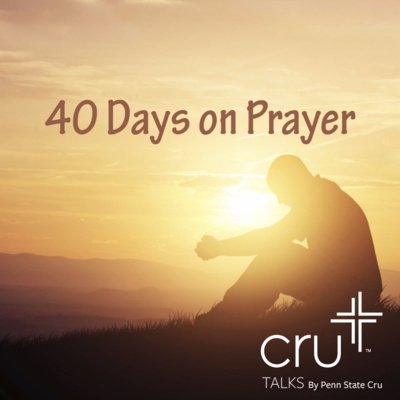 We're kicking off a 40 Day Prayer Challenge this week with a talk on the purpose of prayer. Join us as we learn the power of prayer and begin to apply it to our lives. It's Christmas time and our last meeting of the semester. 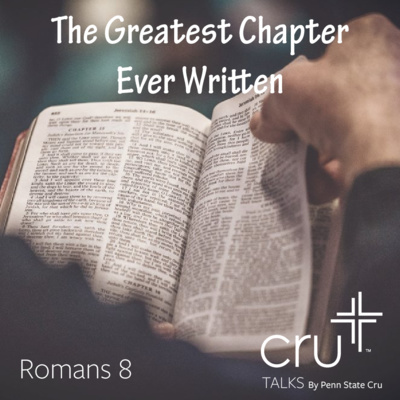 Tune in as Tom Sperlich wraps up our series on Romans 8 by talking about God's love. This week, Josh talks about our adoption into the family of God and the steps we must take to join this new family. "It's not about thinking less of yourself, but thinking of yourself less." This week, Josh challenges us to set our minds on God's desires and not our own. 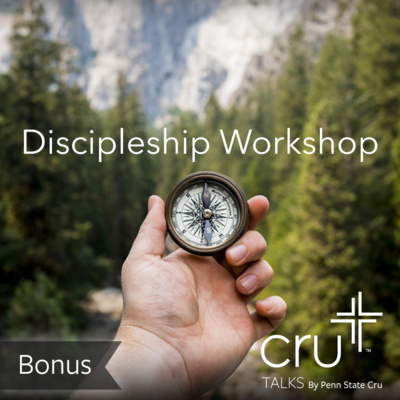 Listen as Roger Hershey leads a workshop on discipleship. "Biblical freedom is being released from condemnation in order to be transformed by the Spirit into the person you were created and long to be." Listen as Josh kicks off our series on Romans Chapter 8 by speaking about Freedom in the Spirit. Are you looking for significance or a purpose in life? 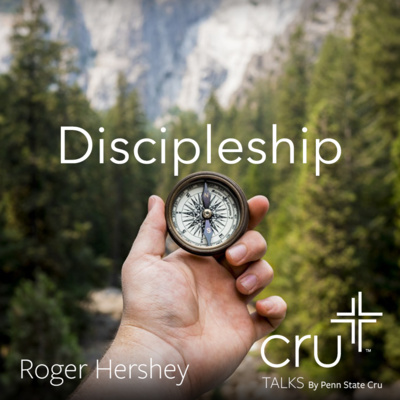 This week guest speaker Roger Hershey shares how discipleship transformed his life and ultimately became his career. Listen as Tom Sperlich walks us through Proverbs 31 and shows how this important chapter sheds a new light on the book of Ruth. How do we know how to escape the rip current of life and avoid being lost at sea? Listen as Dylan from The Traveling Team walks us through escaping the pull of the world and paints a picture of God's vision for our lives. "If you just try hard enough, you can do anything you set your mind to." While our culture thrives on self-sufficiency, scripture tells us we need help living the Christian life. In his final talk, Drew Jackson describes how the Holy Spirit can work inside of you to produce fruit for the kingdom of God. "Jesus called his disciples first and foremost to be with him." In this talk, Drew Jackson lays out what it looks like to live out of the spirit's power and he invites us to accept that power in our lives today. "Have you seen Jesus?" Have you been living under the reality that we serve a risen Lord? Listen as Drew Jackson outlines how the disciples reacted to the life changing news of Jesus' resurrection. "What if the picture of the gospel that is so often painted is not the whole picture?" We tend to wonder if the good news is good enough based on the brokenness we experience. In Drew Jackson's first talk, he responds to these questions by starting at the beginning of God's story. We took a break this past week from our series on Ruth to listen to a student testimony. Brant Goings shared how our testimonies may not be the way we hoped, but they are still part of who God made us to be and they each paint part of the picture of God's character. Tom Sperlich continues our series in Ruth by looking at God's provision for Naomi through Ruth's interactions with Boaz. 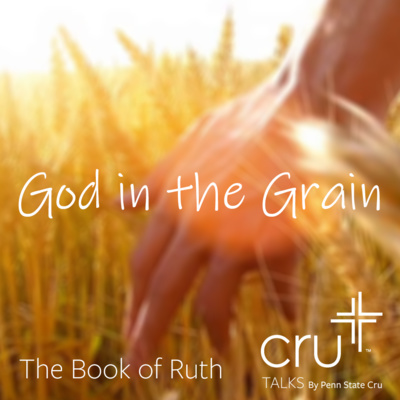 Hannah Verseput talks on Ruth 1 and about Ruth's incredible faithfulness to Naomi. Tom Sperlich introduces our talk series for the fall 2018 semester and starts off with the historical context of Ruth. 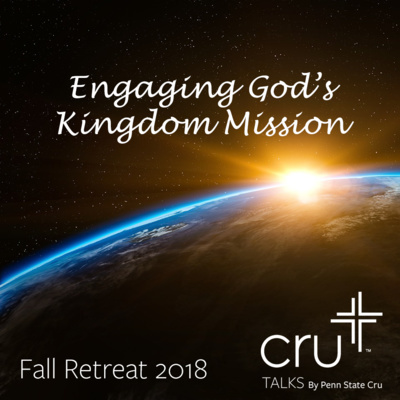 Hannah Verseput introduces all of Penn State Cru's staff and talks about the staff's vision for our movement.